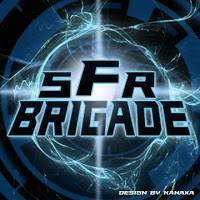 What the heck does “The SFR Brigade Presents” mean? by muted shouts and laughter from the barroom, he sighed and rolled away from her. “I won’t be able to sleep,” he complained. Ebbril was awake; she must have heard; but she said nothing. 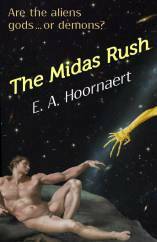 The Midas Rush will be available from Amazon later in February. For more information, see The Midas Rush – Excerpt. And remember-check out more excerpts from the SFR Brigade! Thanks for this great look at your upcoming release! I appreciate you stopping by, Stormie. Interesting set up. I enjoyed the “voices” of your characters very much! I debating about using this excerpt because it’s virtually all conversation … talking heads, if you will. I’m glad you think it works. Interesting world they’re in. Lots of conflict in that marriage! Ah, much worse than this happens to the poor lad. But then, you know how writers love to pile problems on our characters. Good to talk with you outside the ol’ Mud Puddle, Sarah. I really liked what I read in the tease. So this is due out in late February 2013, I’ll be watching. Poor Tresky. I sure hope he finds happiness! Oh! This sounds like it’s going to be fun read. When is the release date?